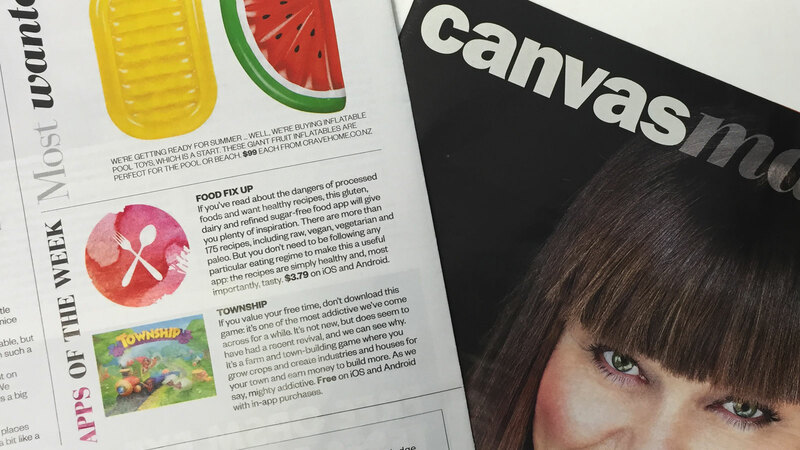 So proud to see our recently designed app for Food Fix Up chosen as ‘App of the Week’ in the Weekend Herald’s Canvas Magazine. Nice surprise when sitting back to enjoy a long black at our favourite cafe. If you haven’t seen it, download from the App Store or Google Play especially if you’re in to delicious, healthy recipes, free of gluten, dairy and refined sugar. You can see more of the app and our work with Food Fix Up here.